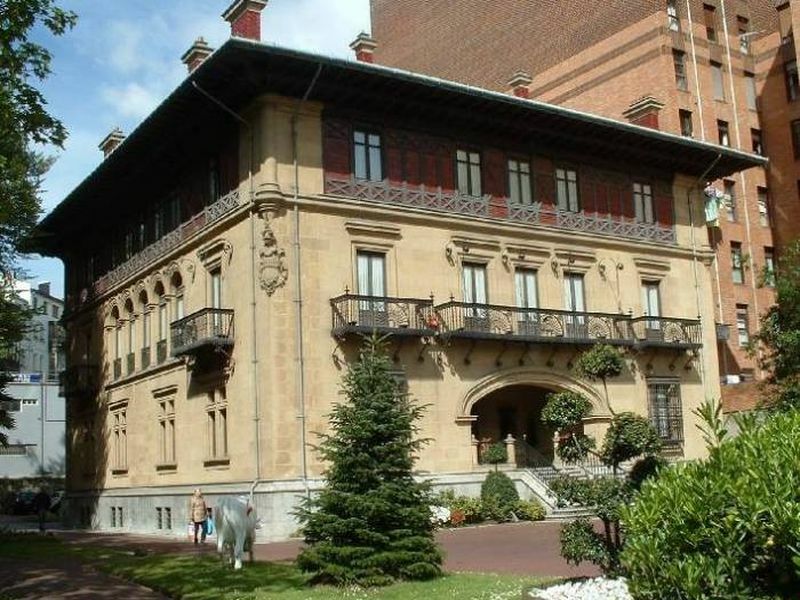 "Athletic Club de Bilbao headquarters"
Built in 1920 by Gregorio Ibarreche, the Palacio de Ibaigane houses one of the most loved and followed institutions in Vizcaya: the headquarters of the hundred-year-old Athletic Club de Bilbao. Initially intended to be the La Sota family's residence, and later to house the Vizcayan Military Government, today this building in the style of the palaces of the first Baroque, holds within its walls the secrets of the football club supported by thousands of Vizcayans. On its facade, notice the outstanding and popularly inspired architectural motifs, the main characteristics of which are the framework of exposed brick, a short-arched entrance and the gables of the many projections. The trophies hall can be visited too.